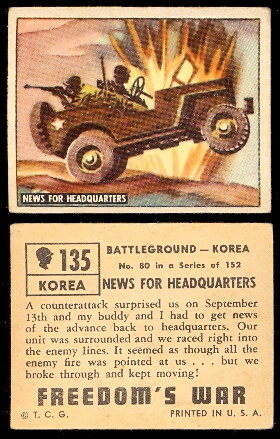 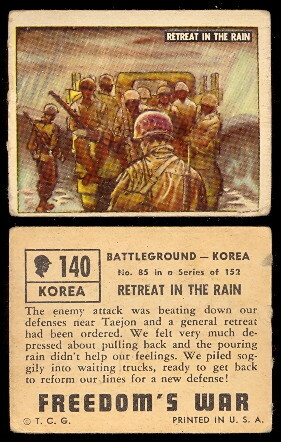 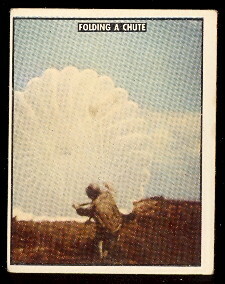 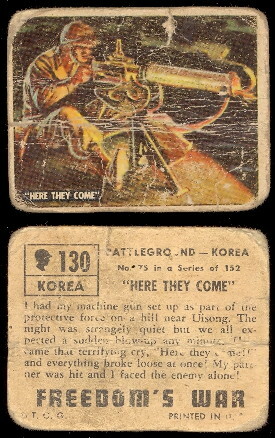 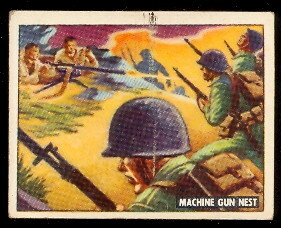 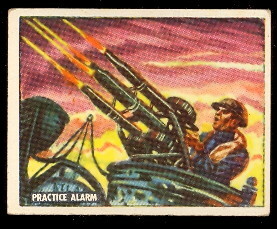 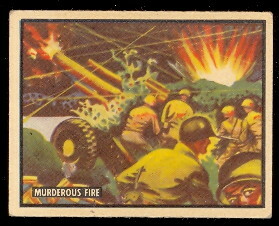 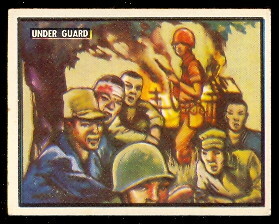 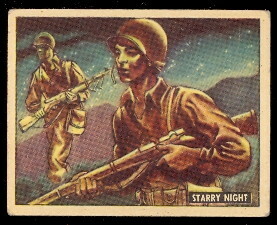 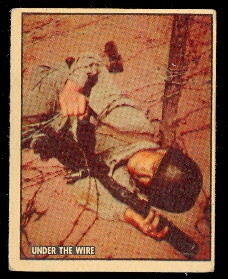 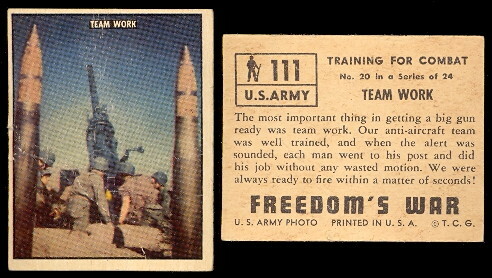 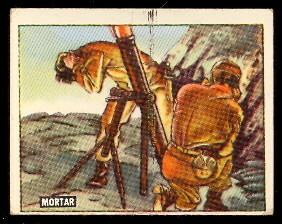 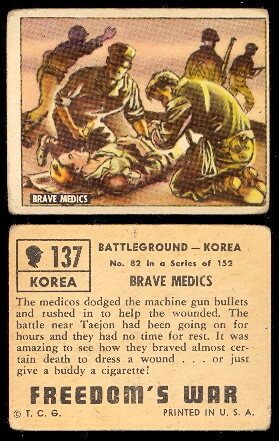 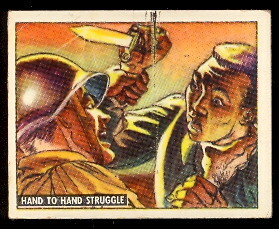 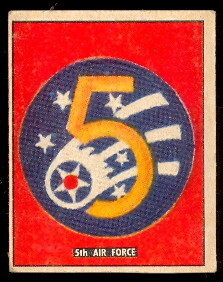 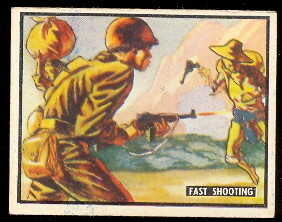 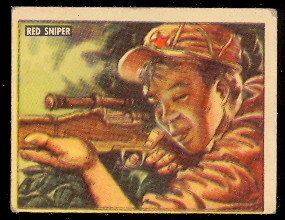 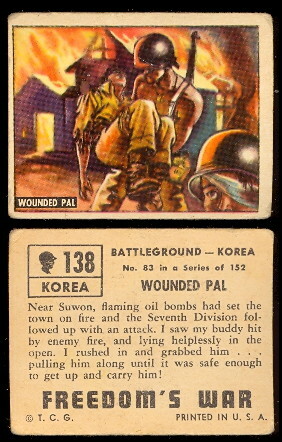 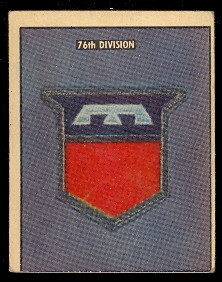 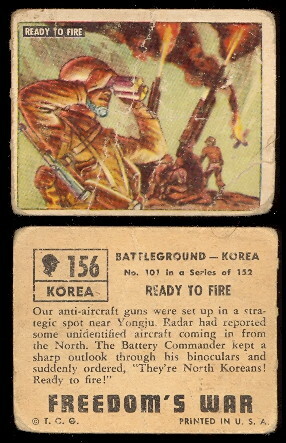 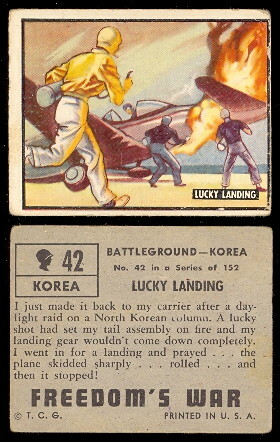 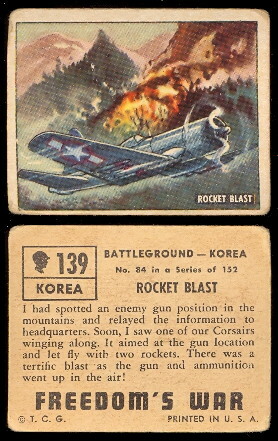 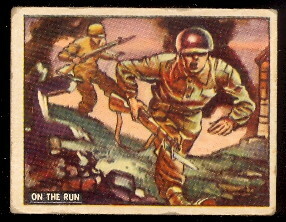 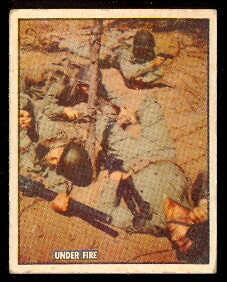 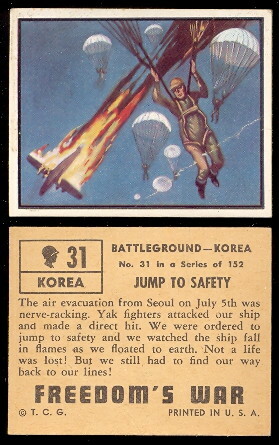 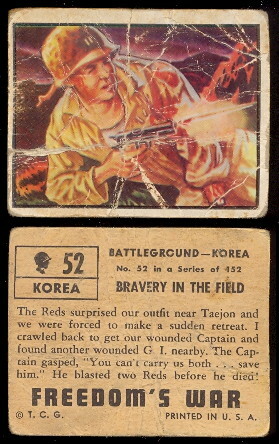 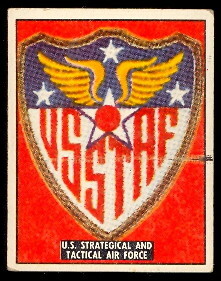 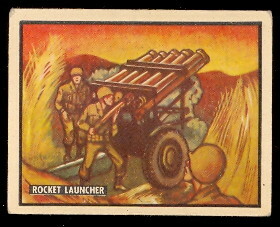 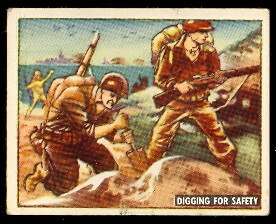 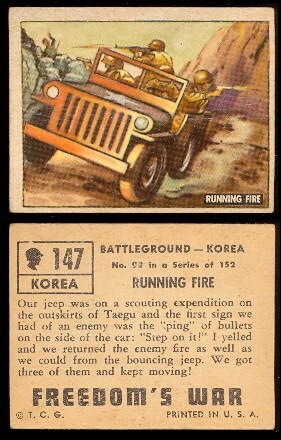 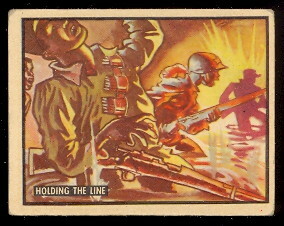 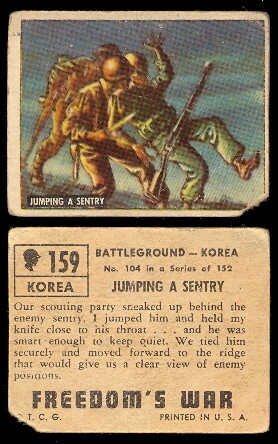 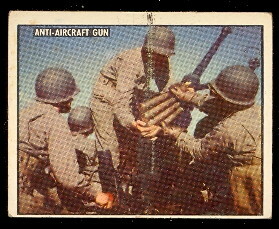 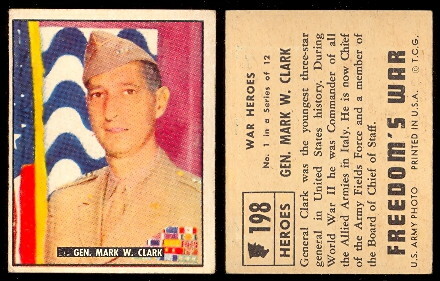 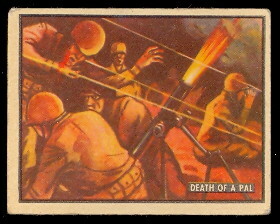 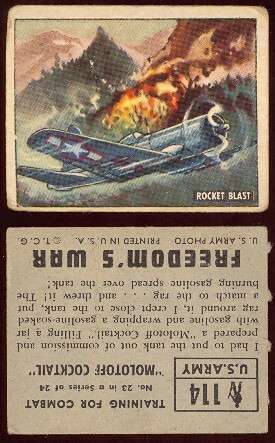 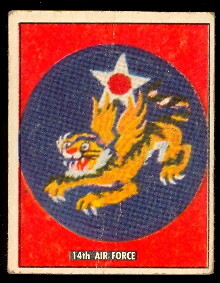 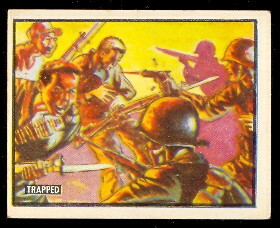 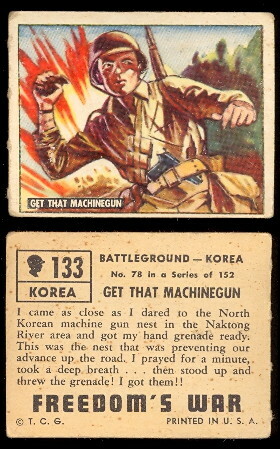 The 1950 Topps Freedom's War documents the Korean War. 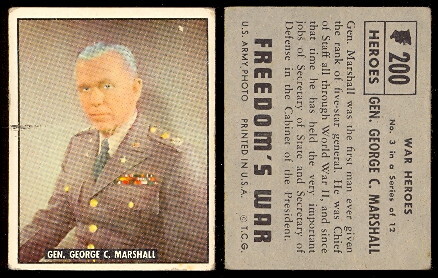 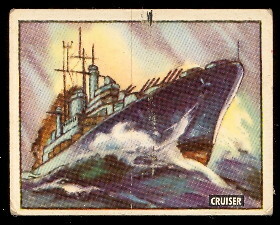 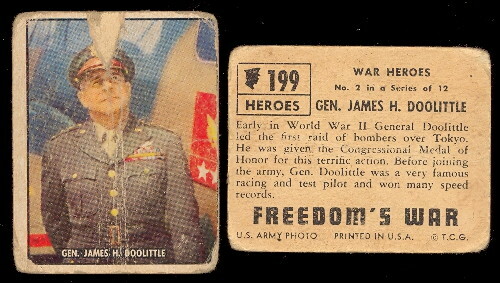 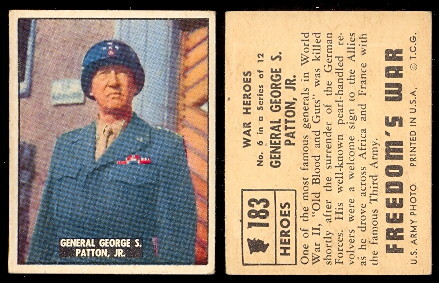 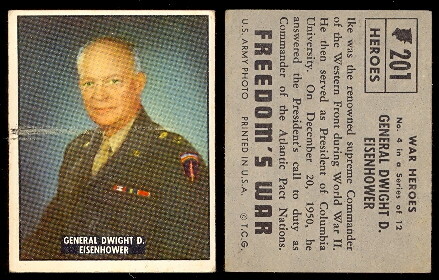 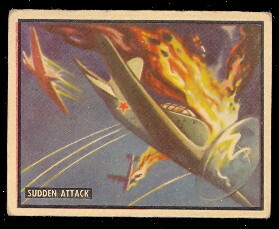 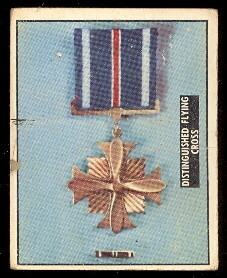 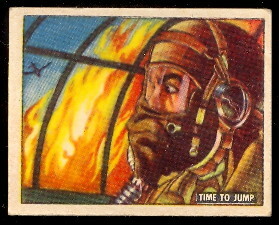 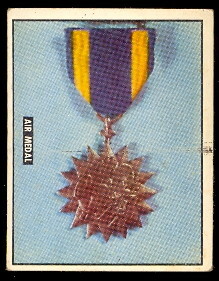 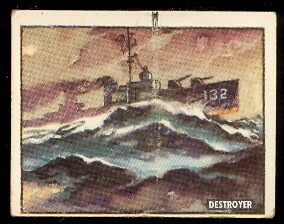 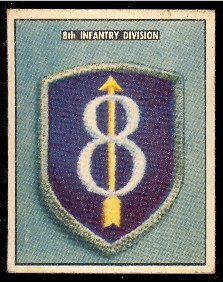 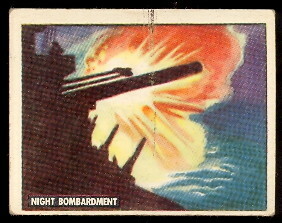 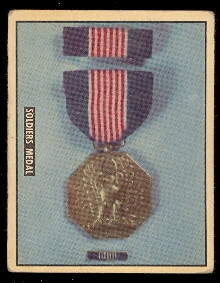 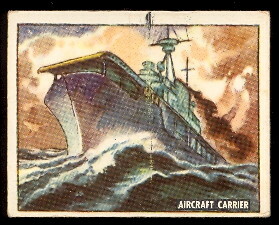 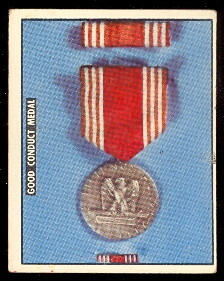 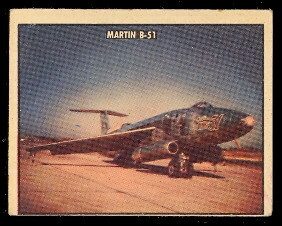 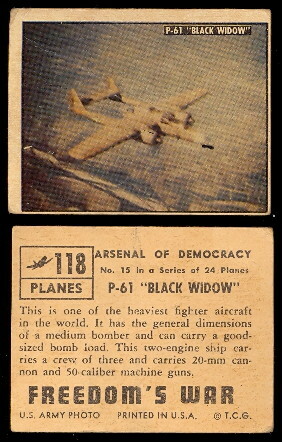 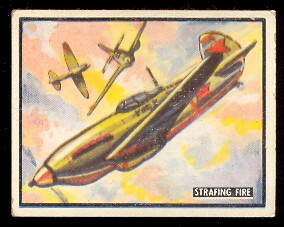 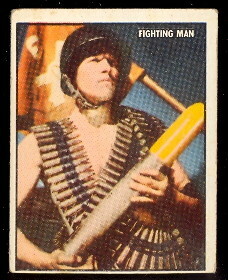 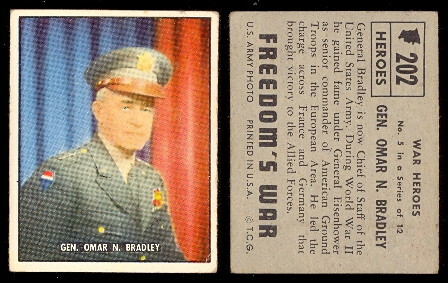 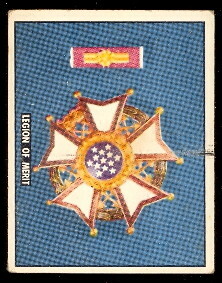 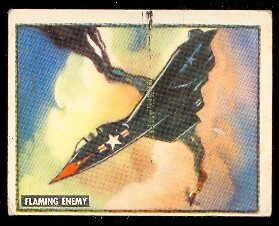 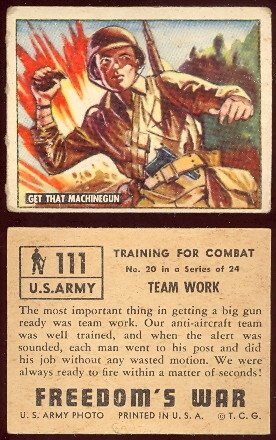 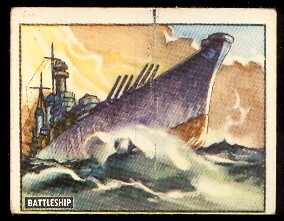 Cards feature battle scenes, war medals, airplanes, battleships, tanks, and war heroes including Gen. James Doolittle, Gen. George Marshall, General Dwight D. Eisenhower, and Gen. Omar N. Bradley. 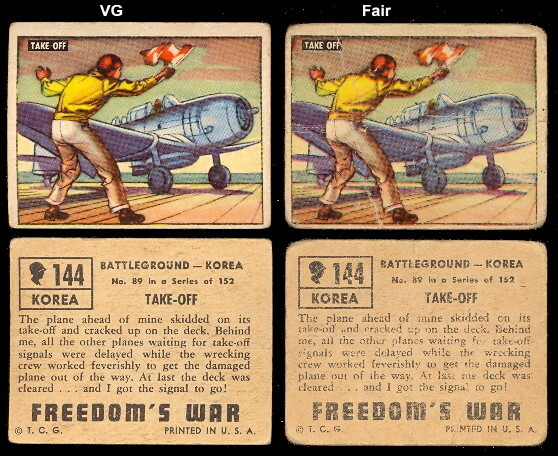 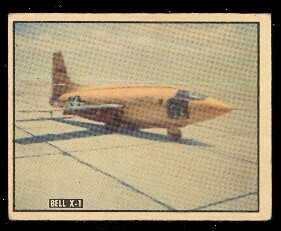 The cards have color pictures on the fronts and the backs have descriptions. 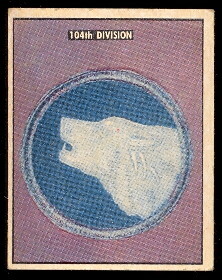 The backs can be found in either gray or white. 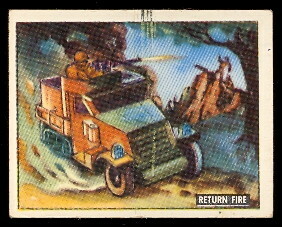 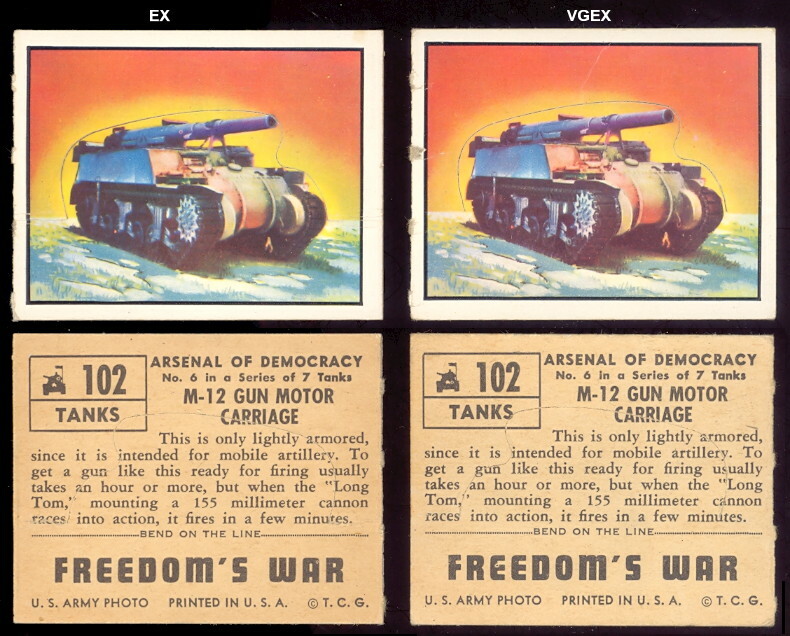 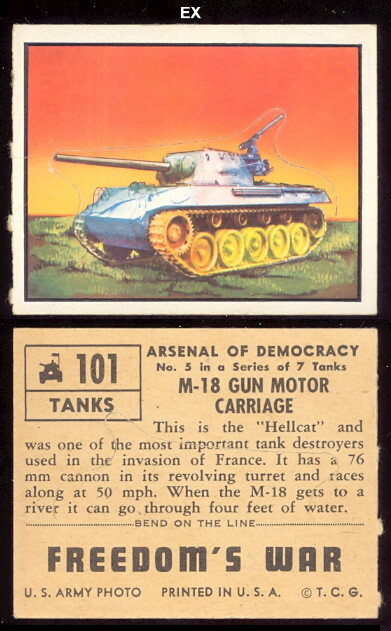 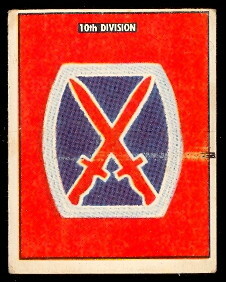 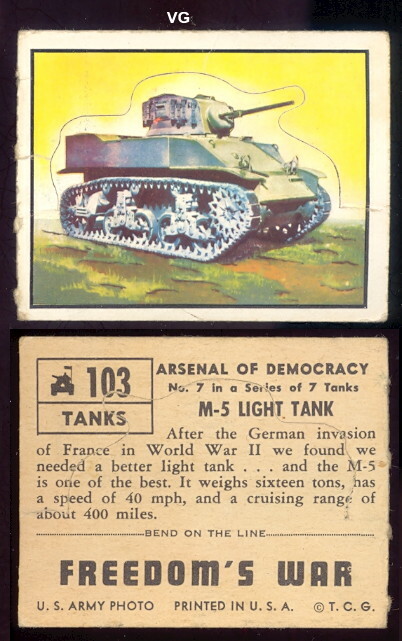 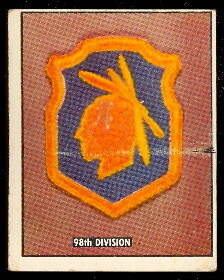 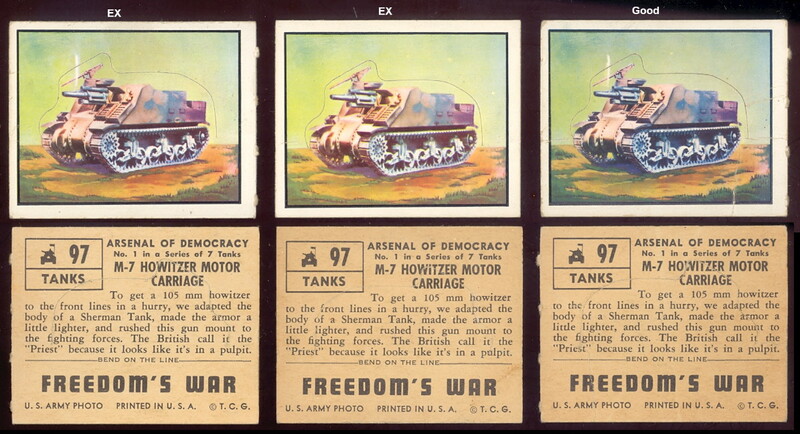 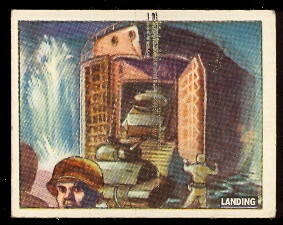 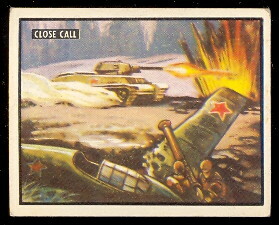 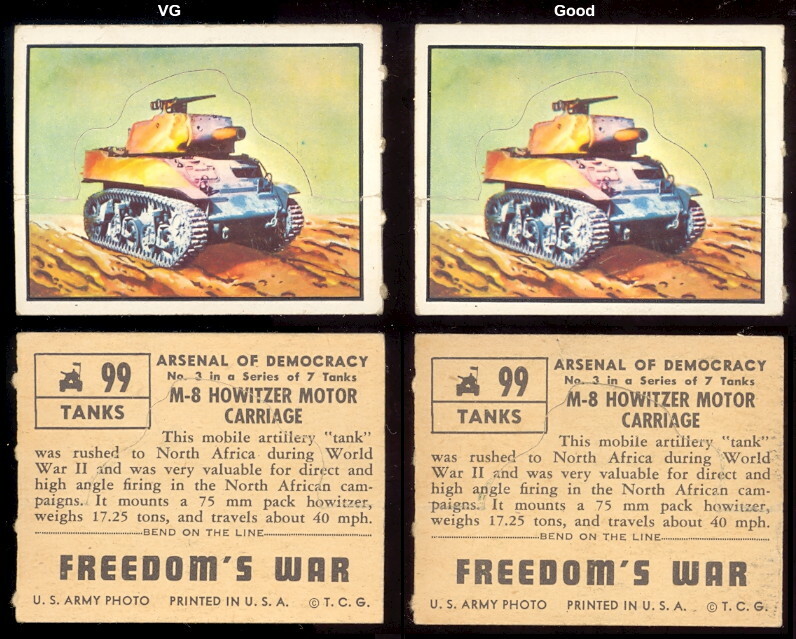 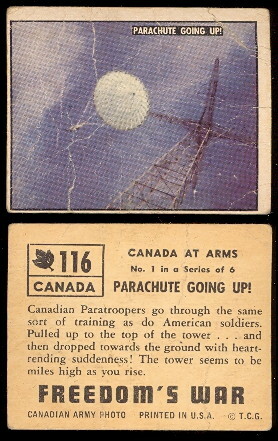 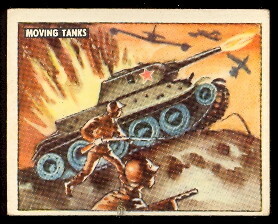 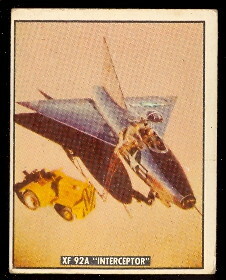 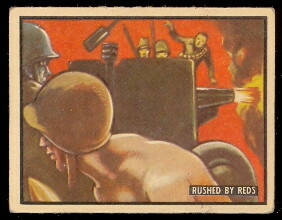 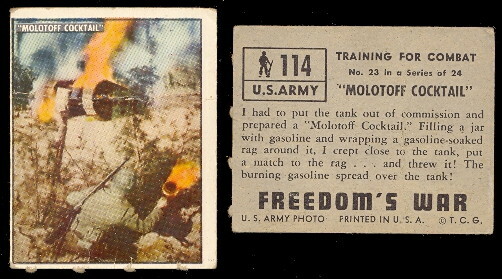 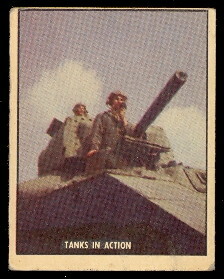 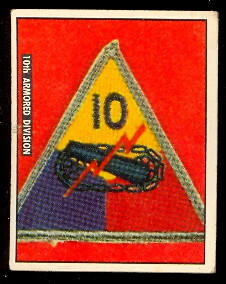 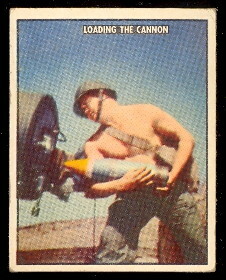 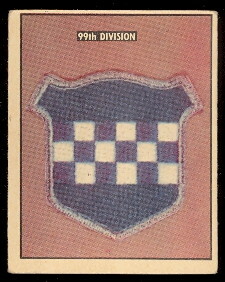 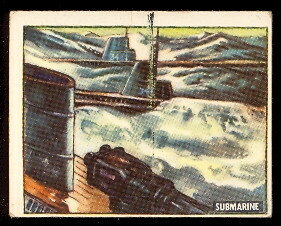 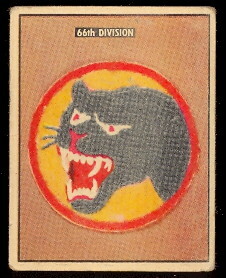 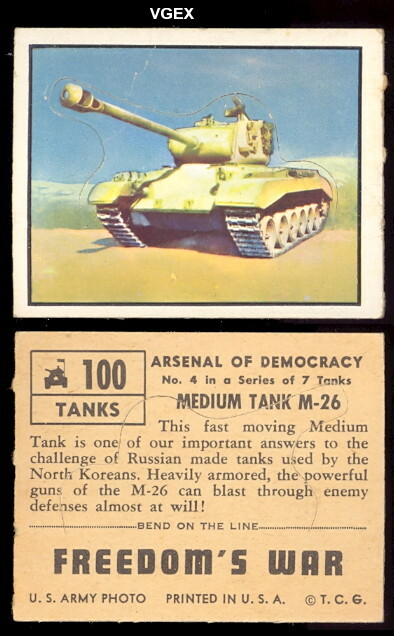 The tank cards #97 thru #103 are very desirable. 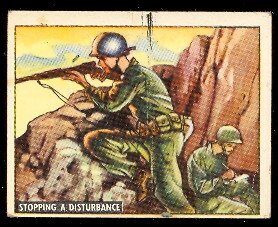 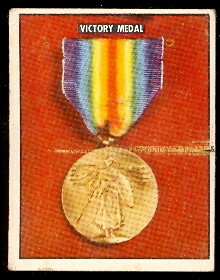 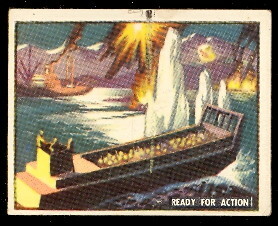 The set contains 203 cards and the cards measure 2-5/8" by 2-1/16".